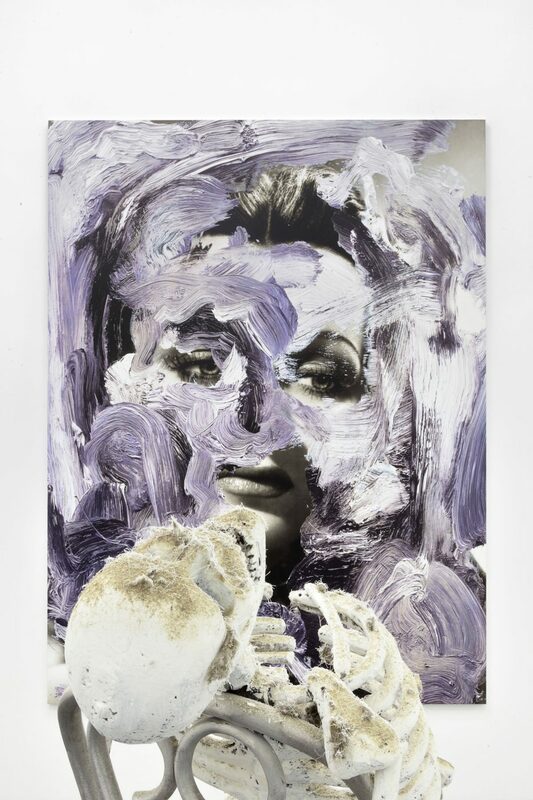 This spring, Sadie Coles HQ presents Urs Fischer’s first solo exhibition in Naples in a month-long residency at T293 gallery. In a series of new sculptures and paintings, Fischer recasts symbols of vanitas, death and memory in a visual language that slides continually between real and surreal registers. Combining the abrupt literalism of found objects with sophisticated and meticulous methods of production, he simultaneously invokes and reinvents several of art’s undying themes – familiar motifs becoming elastic and ambiguous in his hands. 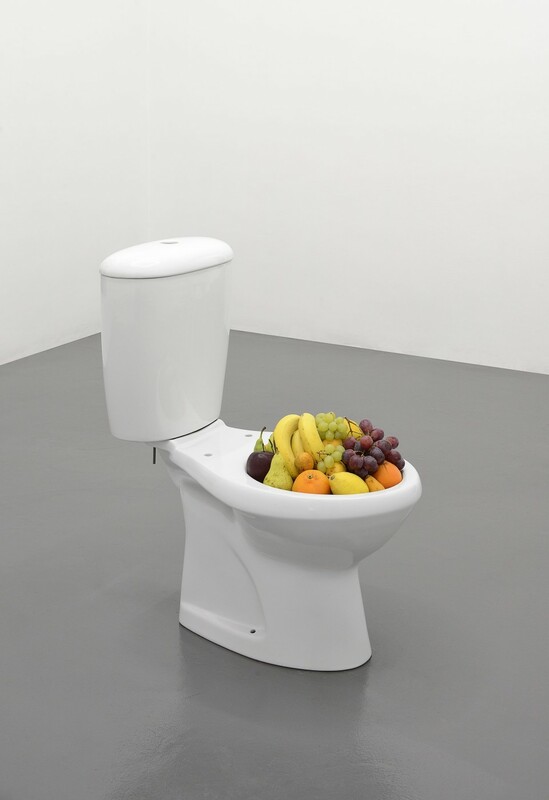 A new sculpture consists of a free-standing toilet filled to overflowing with fruit. The cornucopia or ‘horn of plenty’ – a symbol of nature’s endless abundance – is given a surrealist twist, nature’s gifts seeming to issue forth as waste, or to anticipate their own destined end-products. 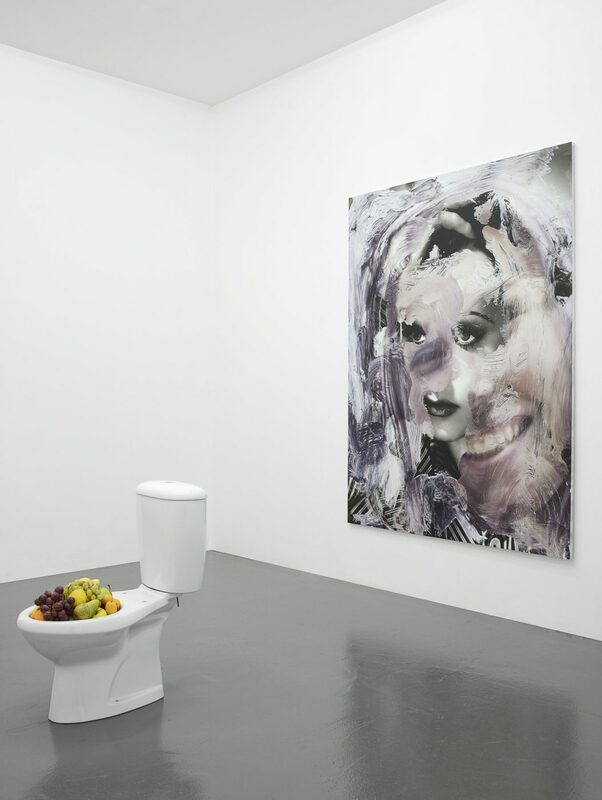 In this tongue-in-cheek variation on the theme, Fischer creates a ‘still life’ that not only signals nature’s transience but threatens itself to decay (the ripe pile can only be maintained by regular replacement). 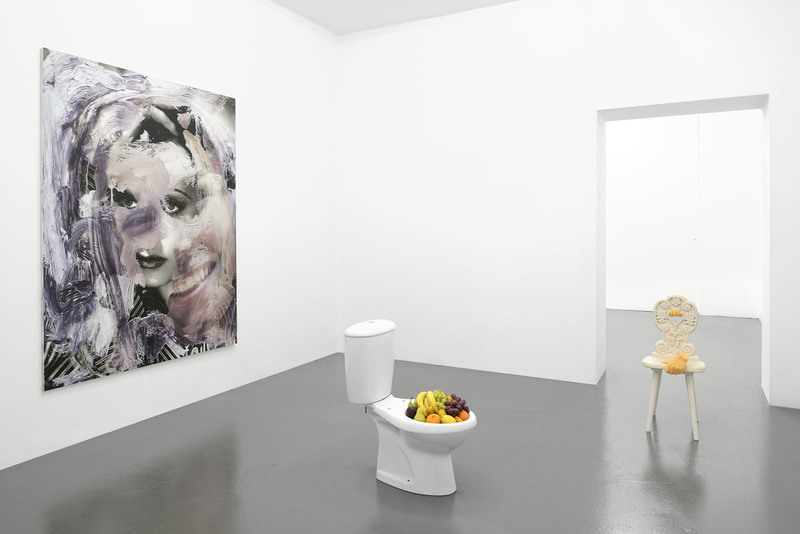 Transposing a painterly symbol into the lineaments of a readymade, the sculpture also elevates and decontextualizes the toilet – inducing us to view the porcelain object (as did Duchamp’s Fountain) as an autonomous sculptural form. Fischer’s early installation Faules Fundament (1998) alternated similarly between stable and entropic media, taking the form of a brick wall built on a bed of fruit and vegetables, whose gradual decay caused the structure to topple. The use of real fruit echoes various other sculptural gestures by the artist such as that of The Human Layer (1999), in which real apples and bananas are slathered in silicone as if being glazed (whether with icing or varnish); or Untitled (2000), in which the halves of an apple and pear are screwed together and suspended as a bauble from a string. 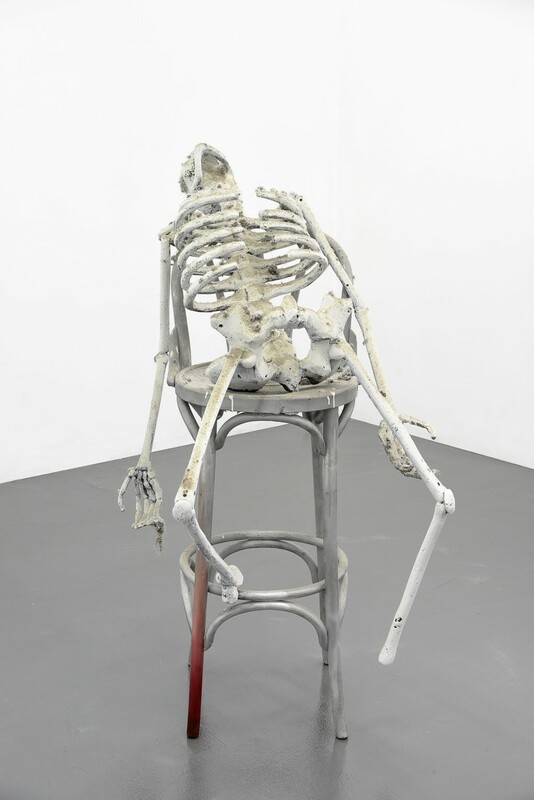 In another sculpture, a skeleton cast in aluminium and caked in dust is presented sitting on a bar chair, as if caught in a moment of repose. The ultimate embodiment of death is reimagined as a louche dandy, in a merging of the currents of slapstick and macabre humour that run through much of Fischer’s art. 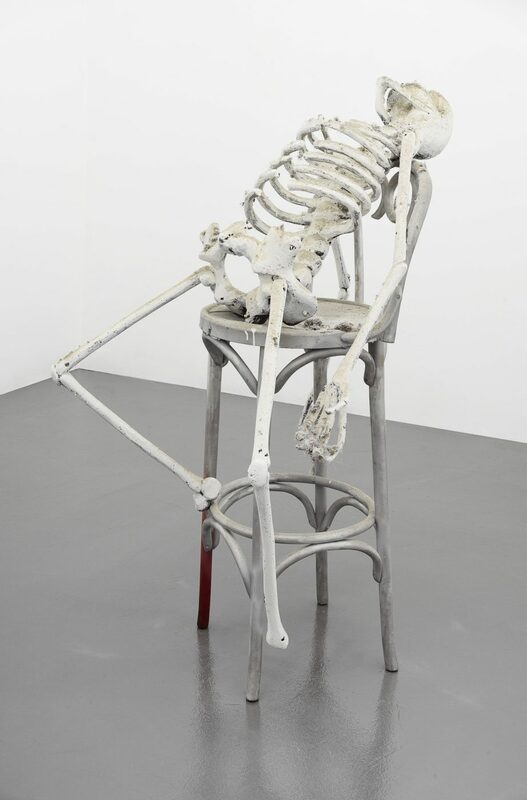 In line with earlier sculptures of skeletons in humdrum scenarios, such as Skinny Afternoon (2003) – in which a skeleton regards itself in a mirror, breathing condensation onto the glass – this work imbues the figure with anthropomorphic, cartoonish life. Originally chiseled from foam, the figure retains the unformed or subtly distorted character of a doodle or caricature. Elsewhere, the mediation between life and death takes on a more fragmentary and personal aspect. 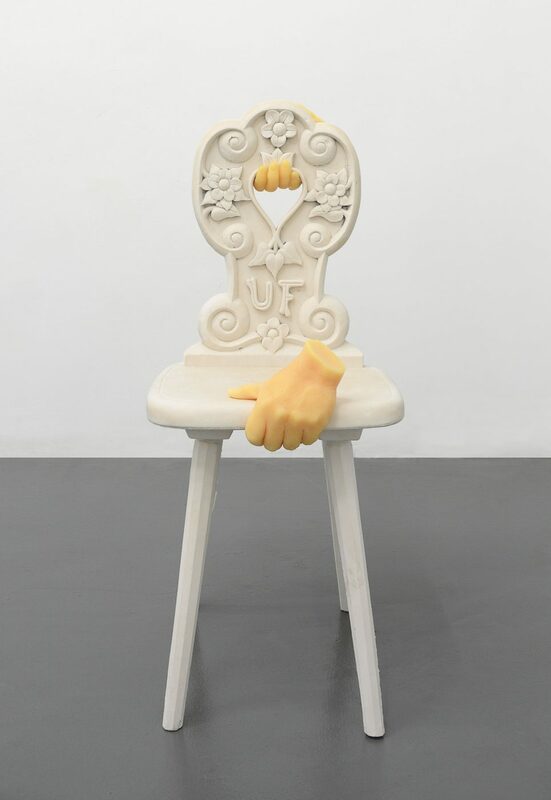 Fischer has made a plaster cast a wooden chair that his father carved – the medium of plaster itself speaking of art’s capacity to duplicate or mirror a missing ‘original’ (whether an object, artwork or body). 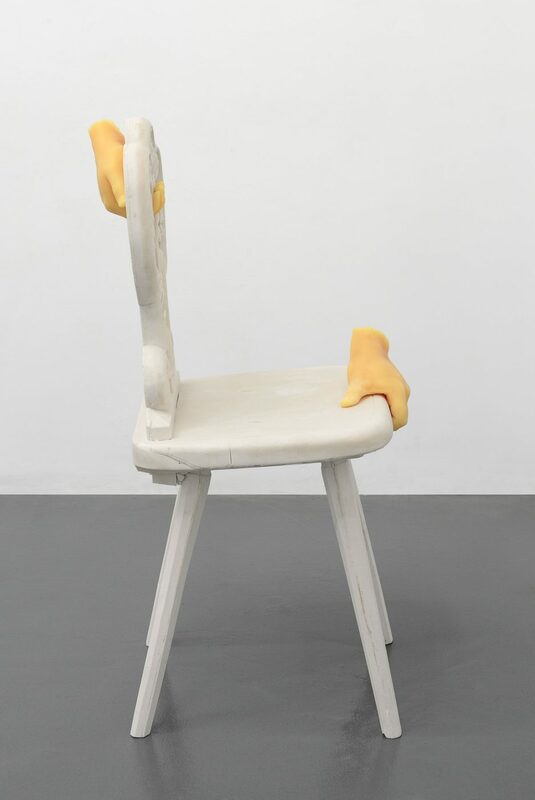 Resting on this form is a pair of hands cast in wax, articulating a dynamic between fragment and whole – or between absence and presence – that pervades Fischer’s work. The exhibition will also feature new silk-screened paintings that stand in parallel to the sculptures. 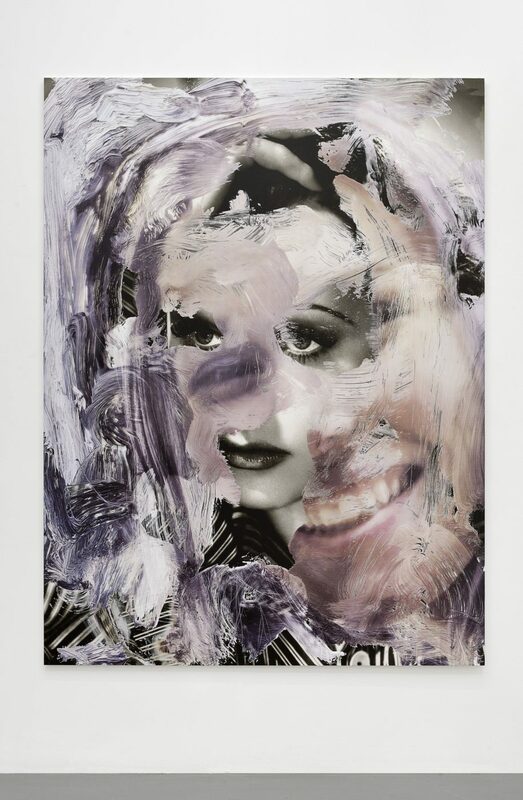 Urs Fischer (b. Switzerland, 1973) lives in New York. 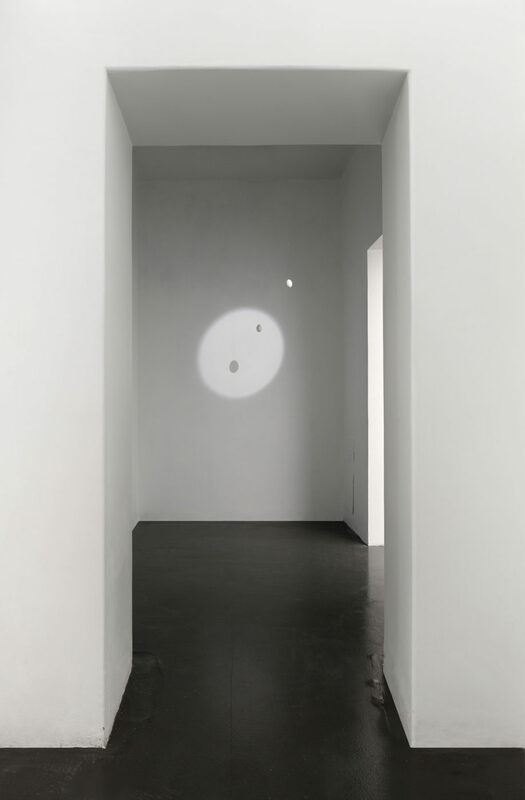 Recent major exhibitions include those at MOCA, Los Angeles, 2013; Madame Fisscher, Palazzo Grassi, Venice, Italy, 2012; and Skinny Sunrise, Kunsthalle Wien, Vienna, 2012. 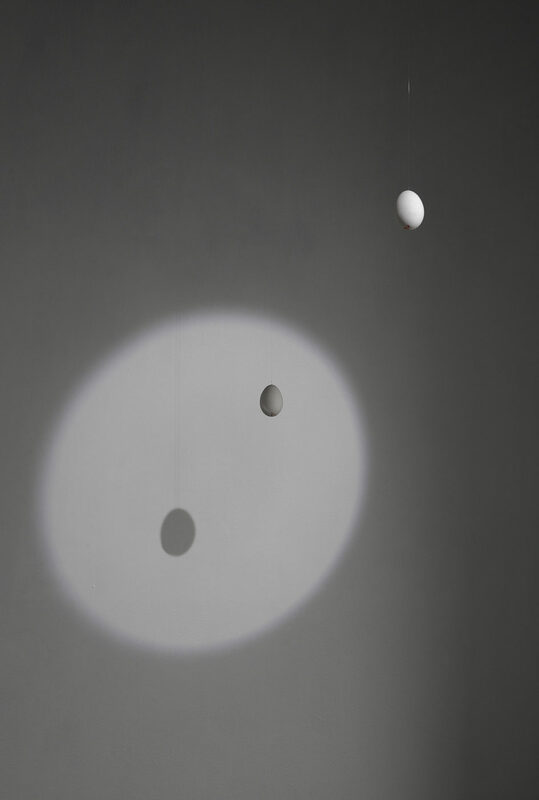 He has had solo shows throughout Europe and the USA, including Oscar the Grouch, The Brant Foundation, Greenwich (CT) (2010) and Marguerite de Ponty, New Museum, New York (2009). In 2004, Not My House Not My Fire took place at Espace 315, Centre Pompidou, Paris, and the retrospective Kir Royal was held at Kunsthaus Zürich, Switzerland. 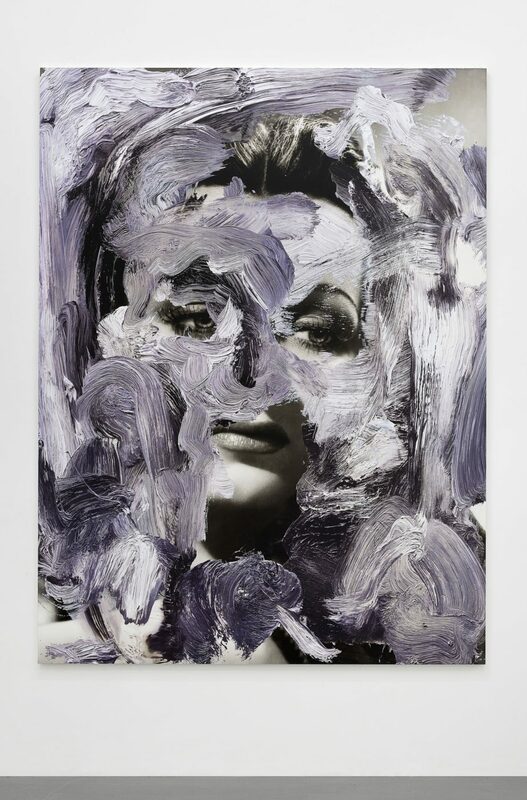 Urs Fischer’s work has been included in numerous group exhibitions including the Venice Biennale in 2003, 2007, and 2011.